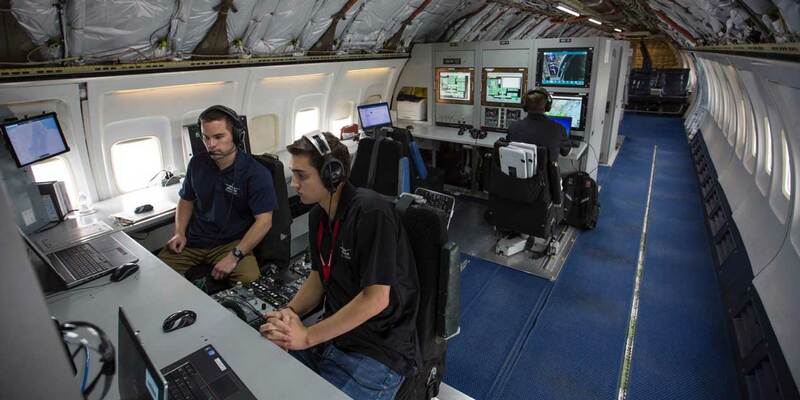 Honeywell’s Boeing 757 "Connected Aircraft" testbed is in Asia completing a three-week mission to collect crucial weather data. Unlike the "Power of Connected" World Tour last year, during which the aircraft visited more than a dozen countries in North America, Europe, and Asia and demonstrated the capabilities of the Connected Aircraft, this year’s deployment to Asia is primarily to collect vital scientific weather patterns and data over Southeast Asia. Joseph Duval, Honeywell’s chief test pilot, said Asia, especially at the intertropical convergence zone, has varying weather patterns compared to North America. It is with this in mind that the team set out during the onset of the Southwest monsoon season that is characterized by short but heavy thunderstorms. Weather data is picked up by the Intuvue RDR-4000 3-D radar, which has a detection range of 320 nm and vertical scan from sea level to 60,000 feet. Other information, such as moisture content is collected via probes mounted on the test-engine pylon. Honeywell’s radar scientists and meteorologists analyze this data to help calibrate the GoDirect Weather app, which provides pilots with real-time weather data on their flight path and predicts potential turbulence. For these tests, the aircraft has thus far been based at various countries, including Vietnam, Thailand, Australia, Singapore, Jakarta, and Indonesia, during which Honeywell showcased the JetWave high-speed connectivity to potential clients from business aviation providers, leasing companies, and military and police forces. The airplane will return to Honeywell's headquarters in Phoenix at the end of the month.